A U.S. 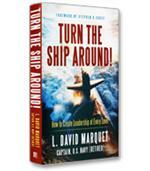 Naval Academy graduate, David Marquet served in the U.S. submarine force. He commanded the nuclear-powered fast-attack submarine USS Santa Fe, stationed in Pearl Harbor, Hawaii. Captain Marquet completely turned around Santa Fe, where the crew went from being “worst to first.” Santa Fe continued to win awards after his departure and promoted a disproportionate number of officers and enlisted men to positions of increased responsibility, including 9 subsequent submarine captains. 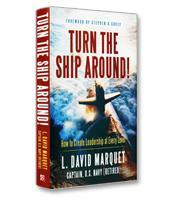 After riding USS Santa Fe, noted author Stephen R. Covey said it was the most empowering organization he’d ever seen and wrote about Captain Marquet’s leadership practices in his book, The 8th Habit. 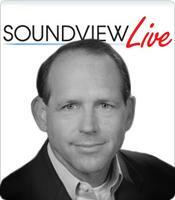 Since completing his military service David speaks to businesses and groups who want to create empowering work environments that release the passion, initiative, and intellect of each person. This bold and highly effective leadership approach can be summarized as “give control, create leaders.” The result embeds the goodness of the organization in the people and practices instead of the personality of the leader, building enduring and resilient organizations. He is a life member of the Council on Foreign Relations and lives in Florida with his wife, Jane.